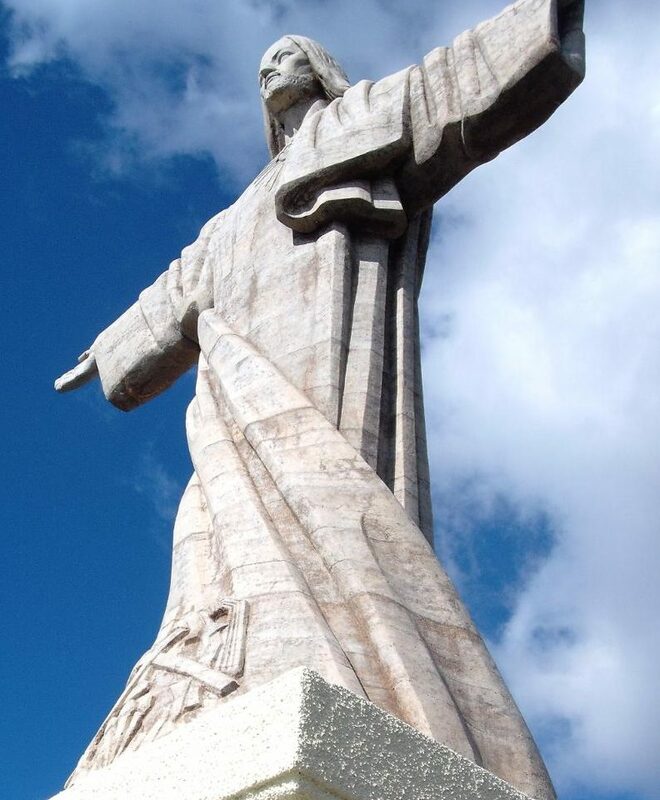 When mentioning a Cristo Rei statue, most everyone thinks of the one in Rio de Janeiro, Brasil. The Madeira version albeit a little smaller is the oldest Cristo Rei version in the Portuguese speaking world. The Madeira Cristo Rei in Garajau is 14 meters height and dates back to 1927. Rio de Janeiro erected its 30 meters height Cristo Rei in 1931. And lastly, Lisbon finished its 28 meters height statue in 1959. Private funds (a local lawyer and his wife) paid for the statue. Lenoir and Serraz, two French sculptors, designed and worked on the Cristo Rei statue. Sacred Heart Statue, Sagrado Coração de Jesus or Christ Statue are other names for this pleasing “Art Deco” piece of art. This cliff used to be a whaling outlook post during Madeira whaling history. This luckily has ended. Whale watching is a tourist magnet nowadays. 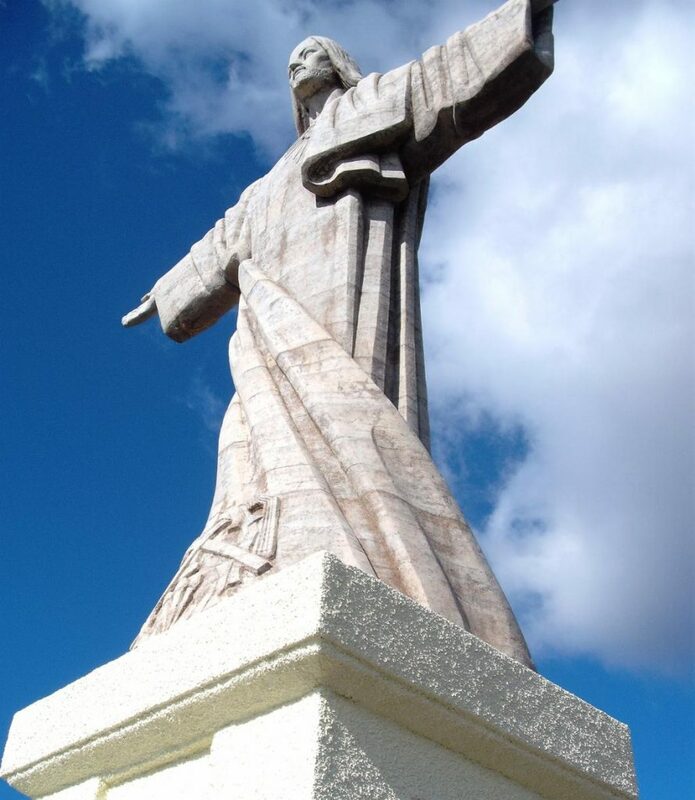 There are several legends explaining the reason for the erection of a Cristo Rei in Garajau. But let’s be honest, one legend has our preference namely legend number 1. Legend one: The Cristo Rei is meant to welcome Madeira visitors coming by sea with open arms. Take a moment to wander around the viewpoint. Take in the beautiful views and the serenity oozing from this place. Facing the ocean to the right, you can admire a nice partial view of the bay of Funchal. Looking down, you see the pebble beach of Garajau and the zigzag path leading down. No worries, walking the long path down is not mandatory. There is a difference in elevation of 200 meters between the Cristo Rei and the beach. 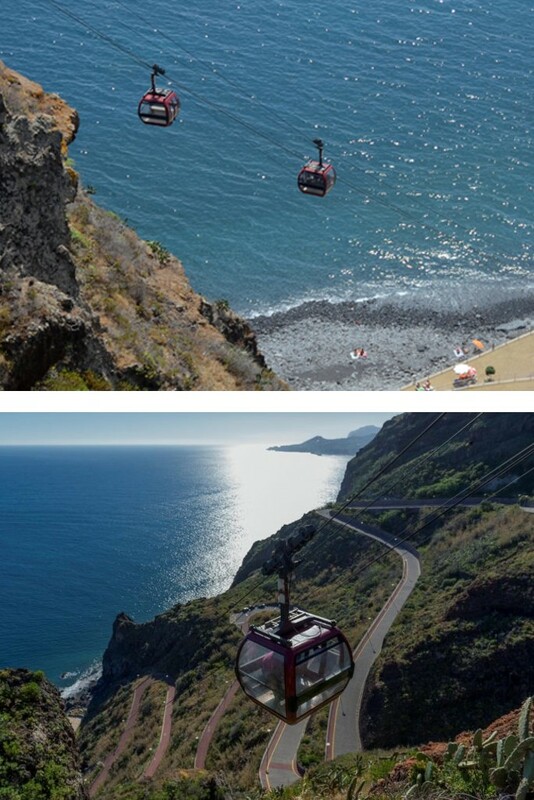 There is a cable car operating taking you gently to the pebble beach and diving areas. It operates from daily from 10AM to 8PM, Monday to Sunday but only in the Summer. The beach is located in the Garajau Marine Reserve. Hence the water is particularly clear. It is thus a perfect diving, scuba diving and snorkeling location on Madeira. A small coffee shop awaits you down there as well. Where to find the Cristo Rei?